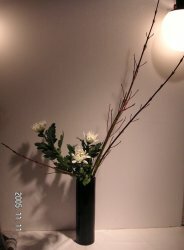 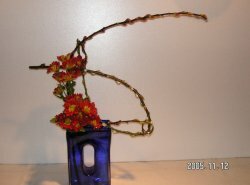 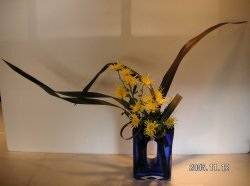 I will be introducing New Years Day ikebana soon. 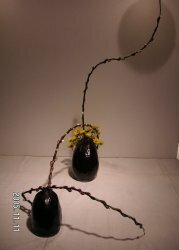 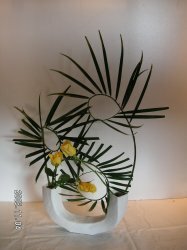 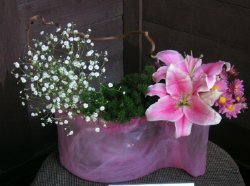 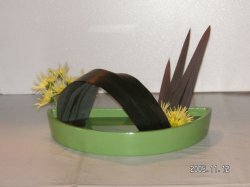 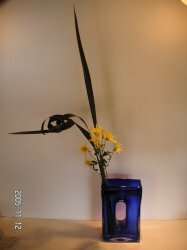 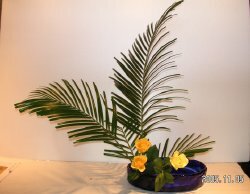 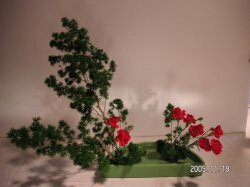 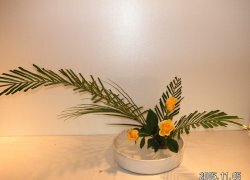 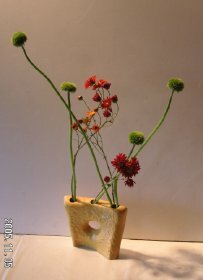 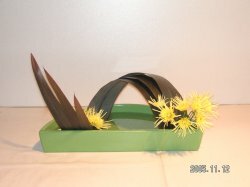 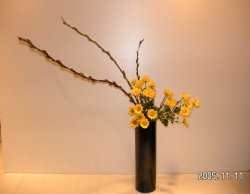 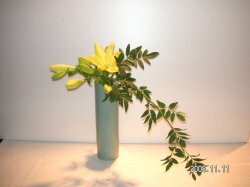 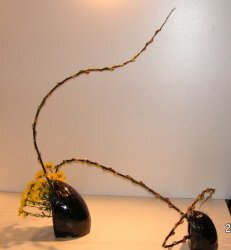 The each ikebana shows you its different beauty, even if the same materials are used. 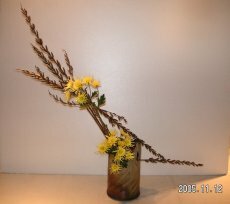 Miho　New Zealand flax, Mum/　The right picture was taken from the opposite side. 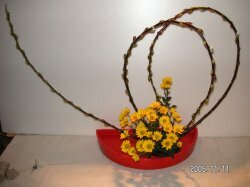 Moe　Willow, Mum/　The right-hand picture was taken from the different side.